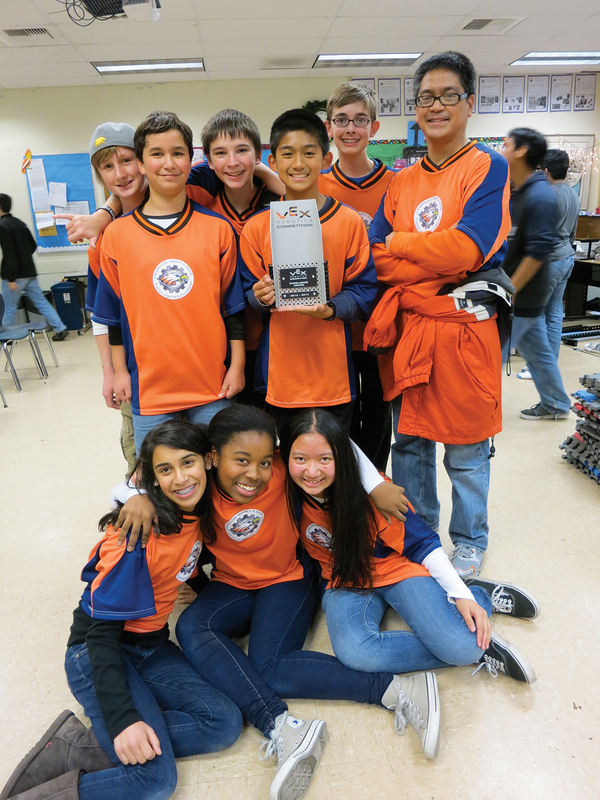 The middle school Eagle Engineers, Team 83, won the prestigious Excellence Award at the CAMS VEX Robotics Tournament held in Carson on Saturday, December 7. Providing pictures showing evidence of teamwork. Excellent robot design with unique features like dual-linear slider scissor lift, hanging capabilities and a switch to change from one program to another. A robot that performed very well during the competition.